Through My Eyes: The Fun Way to Learn - Chumbaka Asia. "We now accept the fact that learning is a lifelong process of keeping abreast of change. 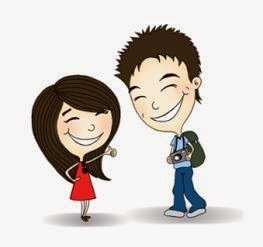 And the more pressing task is to teach people how to learn." If I may choose a quote which I think describes Chumbaka best, it would definitely be this. It's not a fruit and it's not an ethnic cheer (if you say it a lot of times). Chumbaka is a program that focuses on re-igniting humans', little humans' if I may add, the passion to learn that's already in them. It's different from what children learn in school, where they sit behind a desk and often times forces themselves to remember and memorize facts and details of the subjects. With Chumbaka, we allow them to have the hands-on where they do not only hear or see of the subject, but they will experience the reality of the project. Chumbaka focuses on technology because 9 out of 10 children nowadays know how to use an iPad better than their parents, or aunties and definitely grandparents. In my case, Sha Lynn definitely knows more shortcuts on the iPad than me or Vanessa. We were impressed by her and of what we know of, no one taught her all that. It's crazy how a 3-yo girl was teaching her over-twenties aunties on how to use the iPad effectively and in a time-saving methods that she knew how. Heh. One of the things that made me wow are some of the syllabuses that they offer. My top 2 favorite has got to be the Coding and Robotics. In Coding, you learn how to create your own game from scratch and in Robotics, you learn how to assemble a robot and program them to move and do all sorts of robotics thing. I had the opportunity to have a hands-on on the MBOT and boy, it was so interesting and I didn't even like engineering/robotics thing. It was super easy to assemble, with the manual instruction given, and what helps most is definitely the step-by-step photos. It's very direct and very user friendly to children from age 7 yo and above. I was fairly impressed to say the least, but I kept my cool of course. My robot was done within 45 minutes. I think this is one of the longest time someone takes to assemble the MBOT. Okaylah, I will admit that I was quite noob in this but not anymore! I suddenly feel like I could be an engineer - a change in my profession perhaps. What I really like about the concept that Chumbaka brings is the involvement of the individuals. Imagine if I had to sit through a class of 5-hours just looking at slides and listening to the 'lecturer', I would have fallen asleep before the first-hour even passed. With Chumbaka, right from the start of the 'classes', students are already getting their hands on the robots or items that they sign up to learn. No sitting down staring at white screens. That way of learning do not work anymore. I actually learnt a lot about robots and stuff because I actually did them myself. It was not, "I heard about this..", it becomes "I did this.."
It's a very accomplished feeling if I can add that. 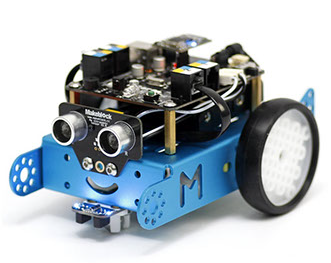 May I just say that if you have all the intentions in the world to get unique gifts and running out of ideas on what to give to your children or nieces/nephews for Christmas presents, MBOT would be a perfect gift. In fact, they have a few learning kits (other than MBOT) that you can get for them! Also, if you really care about the future of the children in your clan, then send them to Chumbaka classes! It's like sending them to tuition classes but way more fun kind of classes where they get to create their own Super Mario game from scratch or assemble a robot that they can call their own! Don't buy for them gifts that are ready to be used. Get a gift that requires them to build on their own. That way, you help in their learning skills. This is definitely better than having them glued to the iPad all-day err-day. Oh and did I mention also that they have special classes during school holidays? If you are interested to know more, click CHUMBAKA and get more information in their website. You for sure will not regret this. If you are more of a Facebook person, here's another link to CHUMBAKA's FB page. Feel free to ask more questions because when you ask, you learn more (quote from yours truly heh).